Though I have no idea what my very first answer to that question would have been (dinosaur? ), there were definitely some memorable ones along the way. 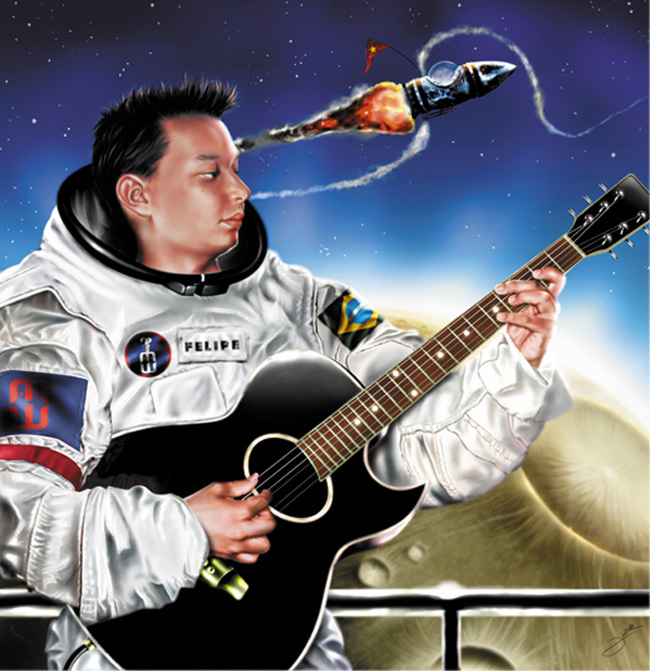 Astronaut, mechanic, astro-mechanic, cosmonaut, entomologist, space scientist, architect, musician, space musician (yes, the rock star dream never truly dies…). At 25, what’s most interesting about that list is not the number of career titles that I have made significant steps toward. Rather, the most interesting (and far more common) thing about that list is that none of those job titles includes the one that I am currently holding, or plan to hold in the future. But, as an 8 year old, there’s not really a point where you stop to think, “now wait a second, to be an astronaut, I would have to take a bunch of science classes, do exceedingly well, then get into such and such a University with such and such astro-engineering program, not to mention getting to know somebody over at NASA, all the while keeping in good enough physical shape to be able to survive in SPACE for months at a time. Guess I missed that memo. That kind of conceptualization is actually pretty apt… if you are entering the workforce sometime in the mid-1900s. Alas, the modern career is actually better thought of as a sequence of smaller, mini-careers. For example, the average number of career changes one can be reasonably estimated to experience in one’s lifetime is anywhere from 5 to 10, but that number could easily be much higher, depending on how you define career change, and just when you start counting your work as your career. There’s no magical turning point at which your career suddenly starts happening, whatever the infomercials for Technical Institute X would have you believe. There’s no point at which you become grown up. I would still love to be an astronaut. However, thanks to a whole bunch of unforeseen circumstances that I could have never predicted, I’m a career advisor instead. It’s been anything but a straight line to get here, and trust me, at no point did I suddenly “grow up” (just ask my girlfriend). So now we are left with an important question. If there’s no way to know what you’re going to be doing 10, 20 years from now, what’s the use in making a plan or trying to accomplish career goals, anyway? To use the first metaphor that comes to mind, imagine that you’re going bowling, only for some reason you’ve been blindfolded. You’ve also been sat in a chair and spun around a few times for good measure, just to make you nice and disoriented. Without any kind of sense of direction, you’re just as likely to throw the ball at the guy making nachos as you are the pins. With any luck, your career plan, and the actions that you take now towards it, provides you with that sense of direction to at least get you pointed the right way. A strike might mean that you (read: I) become an astronaut or a space musician. However, the chance that you’ll hit any one of those pins is pretty drastically low. Plus, it’s not just luck. You never know when some unpredictable chance event might happen. Maybe your ball ends up hitting a strike in someone else’s lane! As I mentioned in my last entry, it’s the openness to unexpected events that’s key. Am I the only one craving onion rings all of a sudden? *Cross-posted at Career Services Informer. The career change statistic is one that we use in the education industry to stress the importance of finishing high school and moving on to a degree. Students ask me all the time: Why do we have to learn this; I am never going to use it. Ah, but, my poor and short-sighted student, chances are that in fact some time you will. And even if you don’t, it may provide you with a method of thinking or problem-solving that will benefit you in the future.